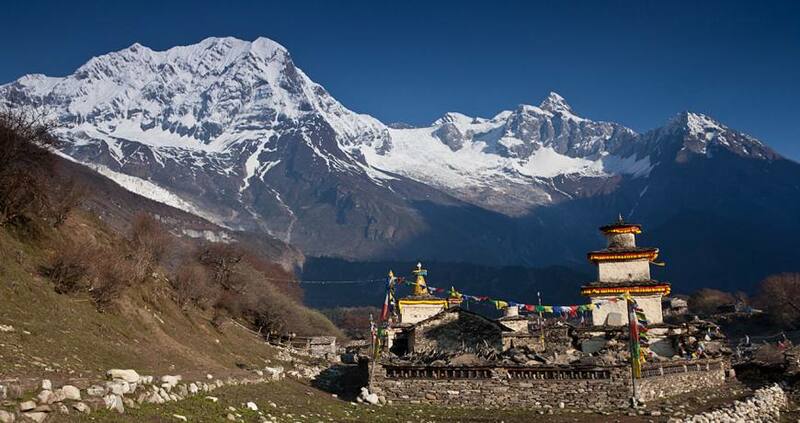 Manaslu region is located in the north west of Nepal, bound up by the Manaslu Conservation Area Project (MCAP). It is a restricted region, which needs a restricted area trekking permit. Opened lately for trekking, Manaslu region offers an undisturbed scenery, which includes the Himalayan vistas, alpine hills, ethnic and indigenous settlements and their cultural prosperity. Manaslu region is also a conservative area of the snow leopard. Manaslu Circuit Trek is the popular trek in Manaslu region, which is a challenging trek that crosses 5160 meters high pass. The route of Manaslu is dotted by the Tibetan Buddhist influenced villages that preserves centuries old monasteries and chhortens. Sama Gaon and Samdo villages are some of the representatives among them.